There are many Marathi matrimony websites online and they are also offering good services for singles searching for bride or groom. So what really makes a matrimony website different from others? This article is about the benefits of joining Anupamshaadi matrimonial website and please read this article if you really want a good reason to join this site. Any website i.e. of dating or matrimony or social media accounts should have people with real identity or with verified accounts. This reduces the chances of thug or any crime that could be done with the fake accounts. On Anupamshaadi website there are only verified accounts. So this is the important reason’s to join this matrimony site. 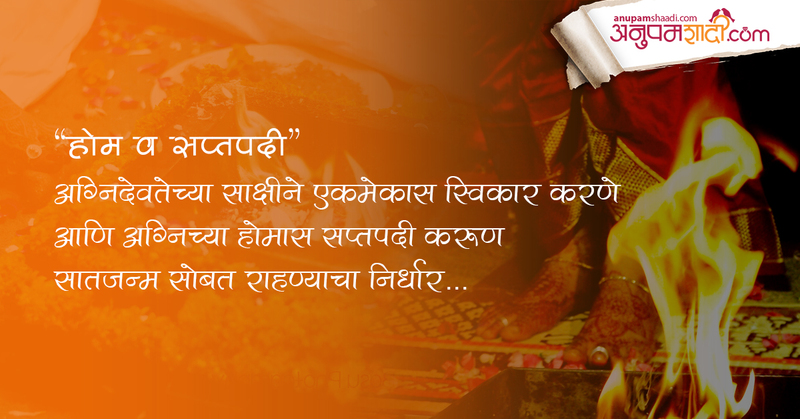 This is one of the important services offered in Anupamshaadi Marathi matrimony. Whoever is single for a longer time and if they are very keen to marry someone then they should definitely go for this services This service basically gives you VIP features like direct chatting etc. For every premium services 25% discount is given to the registered member of Anupamshaadi Marathi matrimony website. You can find a perfect match of your caste or particular interest. The motive behind making any matrimony online website is to connect people with other having same interest and habit. 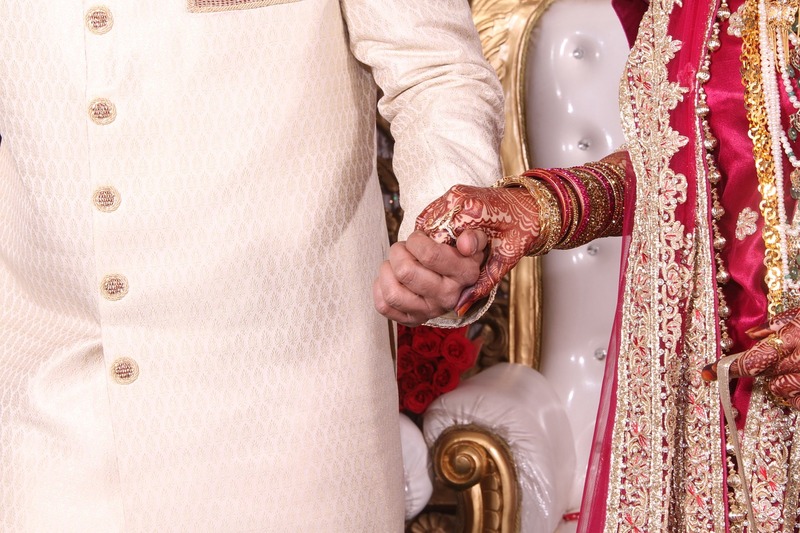 Anupamshaadi matrimony site will match you with like-minded people. We just don’t claim to have succeeded in matching perfect couple. We have a success story of couples who found true love or perfect match on Anupamshaadi Marathi matrimony website. We have success story which will make you believe that registering with Anupamshaadi will bring wonder to your life. You can read the entire success stories here. These were the few reasons to join Anupamshaadi Marathi matrimony website. 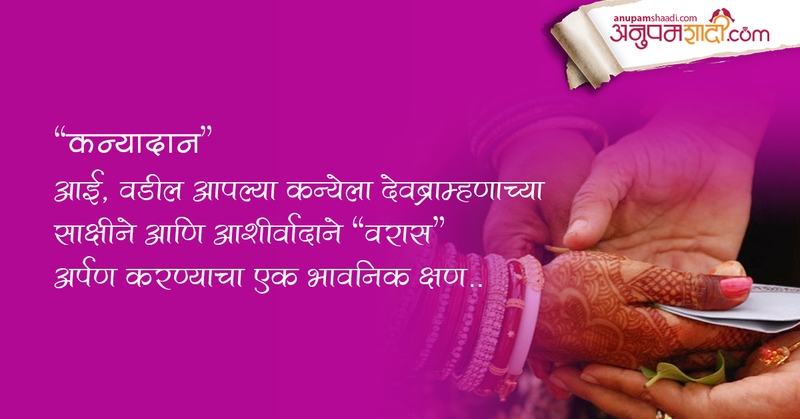 You can read our blogs on Marathi Shaadi and find true love here. So if you are still looking for someone special in your life then you should really register free with Anupamshaadi. If you want to live a happy married life then you can follow some of our after marriage tips, which will help you to attain that happiness. How can we remain positive even in our difficult times? Some human beings have predispositions to happiness; others will need psychological support or medical assistance from depression. Living in the moment! At the risk of being saturated by this concept, it is nevertheless a more valuable advice. We cannot change the past, often punctuated by unfortunate events that we regret. So remembering these thoughts prevents us from living peacefully and positively. As for the future, we know nothing about it and we cannot guarantee it. To live totally the present moment by accomplishing all the tasks connected with it allows us to appreciate life and the riches that it offers us. Stopping to seek the approval of others and trust in one's own convictions is not easy. The problem is that we want to satisfy everyone, just for the need of love and for fear of rejection. Self-confidence requires patience and self-indulgence, but when it is reached, it becomes an invaluable force to face life in a positive way. Learning to forgive is an act that makes us free from the negative feelings that can contaminate our lives. Of course, it is not a question of approving wrongdoing, but of understanding it. All the energy expended in nourishing our anger towards those who have wounded us is a real poison to our soul. Forgiveness makes us true human beings. So this can be considered as an important after marriage tips as you will need to forgive many times. We can always improve our relationships with people around us, i.e. our family and friends by accepting them as they are and appreciating their qualities rather than focusing on them. So always look at the positive aspect of your husband/wife and this will make your life much happy after marriage. When we were children, every opportunity was good for laughing. Stress in our adult life has prevented us from laughing and sometimes even smiling. Some of the researches from past show the beneficial effects of laughter to chase negative thoughts and counteract the consequences of stress. Unlike anxiety that accelerates heart rate, laughter triggers more breathing exchanges facilitating better oxygenation of the blood. When we are stressed, our muscles are tense. Laughter causes muscle relaxation at the level of the body as a whole. Researchers seem to say that a laugh is equivalent to ten minutes of complete relaxation! These were the 5 best after marriage tips for every couple. So even if you are single then no worry, you can join Anupamshaadi: Marathi Matrimony site and register for free. You can find many perfect matches at Anupamshaadi, and you can also UN-Single yourself. Love remains one of the most complicated and difficult to decipher phenomena. Sometimes you may fall in love with someone without even realizing it because you do not dare to confess. To find out if you are in love with him/her or not, read these 5 signs that prove you are in love. You think his/her happiness is also yours, you like to see him/her flourish, happy and that person’s smile always makes you good. You are even ready to do anything to make him/her happy, you certainly do not admit it to him/her but your behavior and words testify. He/she never asks you to do something for him/her, but you do it anyway and without complaint, not because you want recognition, but simply because it makes you immensely happy and give you a sense of satisfaction. And in love we love to give than receive something. When something happens or you have a story to tell, he/she is always the first person you call to talk about what happened to you: You met a former classmate, you spilled coffee on your white shirt, and you missed the subway this morning! Whatever happens, you always want to tell him/her everything and you do not even know why you do it. When he/she gives you advice, you not only take them into consideration but you also make sure you follow them later. You do not like to be judged but his/her opinions are very important to you. You let yourself be influenced by his/her opinions because you secretly want his/her approval, even if you know that this is not always the right thing to do. As you consider that his/her happiness is yours, you also feel that his/her pain is also yours. You worry about him/her when he goes through difficult times. However this empathy and compassion there is the first stage of love, the more you care about his/her feelings and his/her pains the more you love him/her. This is the last signs in total 5 signs that prove you are in love. You trust him/her because you know somewhere that he/she will never break your heart and you think he/she will always keep your secrets. You consider that to tell him/her everything about you just to stay close. These were the 5 signs that prove you are in love. If you haven’t found your true love then you still have a chance. 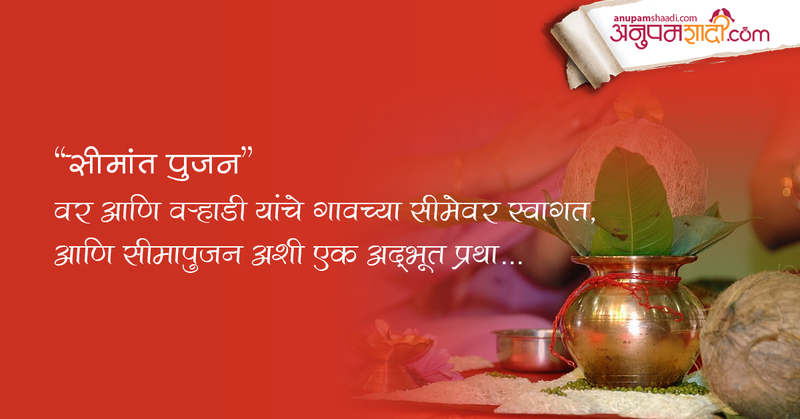 Join Anupamshaadi Marathi matrimony website. All the profile are verified and genuine. This Marathi matrimony web portal also offers 100% safety. Register now only at Anupamshaadi and find your perfect match. What Bidaai ceremony in Marathi Shaadi signifies? And the last ritual is 'Bidaai Ceremony', this is the time when the Marathi bride officially leave her home, her loved ones and she goes to a new home & life. In Bidaai ceremony, after the kanyadaan the Marathi bride is taken to her home where she is accompanied by her close family. She is given a thali filled with rice & coins and then she proceeds outside towards the door, then she throws handfuls of rice & coins over her head....This moment is very emotional. She hugs her mom and dad and then she bids a final farewell as they cry with full of emotion of giving her away & at the same time they give lots of blessing to her. The father of the bride finally takes her to the car and then he hands his daughter to the groom. This is one of the most emotional moment for bride’s family member. What really Vivah homa and Satapadi means? In Vivah homa, a stone is kept near the west of fire (Homekund) and a pot containing water is kept to the northeast. A pot full of ghee is also kept nearby. The pandit then asks the bridal couple to take an oath of the marriage. The groom then prays to the fire and asks to make them pure and away from evil. They also ask for children and their long lives. Now in Satapadi, the bride touches seven beetle nuts by her right foot for holy blessings. Beetle nuts are usually placed on top of the rice. So on the last part, the bride then puts her right foot on a grindstone. The groom holds her hand and supports her in this. This basically symbolizes that in future she needs to be strong like stone and her husband will always support her. Anupamshaadi is one of the best Marathi matrimony website to find a perfect match for you. In this Marathi matrimony website, you have great chances to find someone perfect for you. All profiles in this website are 100% genuine and verified. Register now for free. Sankalp ceremony is basically the announcement of marriage on the wedding day itself. Previously in the earlier days, this event was done a day before marriage but nowadays, Sankalp Ceremony is done on the wedding day itself which is the new change. Ganesh puja is also done as lord Ganesh removes all problems or hurdles and without lord Ganesh blessing this ceremony is incomplete. In short, the parents of bride and groom declare the marriage in their own places. This announcement of marriage is witness by pandit who gives his blessing to bride and groom. The commencement of marriage begins after this ceremony. Visit our Facebook and like and share our post. We post daily offers and discount on this page. What Simant pujan ceremony signifies? Simant basically means limits or boundary, in Simant pujan ceremony the groom and his every family member comes to the limits of brides home. Nowadays there are some changes in this ceremony as earlier this ceremony would take place before the wedding but nowadays Simant pujan ceremony takes place on the wedding day itself. The puja of the groom is done by bride’s mother. She then cleans groom’s feet with water and also applies kumkum tilak and she also does aarti and also presents gifts to him. Then the groom’s mother gives gifts like sarees and jewelry to their future bride. Madhupak is offered to groom’s family members. Gift’s like suit, jewelry etc are given by bride’s family. This is next followed by special lunch. This is how the Simant pujan ceremony is ended on a happy note. What Haldi ceremony really signifies? Haldi ceremony or Halad Chadavne (Marathi) is held two or three days before the wedding. During the Haldi ceremony, the bride and groom cast a paste of turmeric, chickpea flour, lemon juice, sandalwood and rosewater in hands, feet and face. It is believed that the yellow colour of the paste brightens the skin before the wedding and brings good luck to the couple. Haldi is the Hindi name of turmeric (turmeric in English). Turmeric is a root (similar to ginger) that dried and crushed into a powder of deep yellow. It is widely used in India, both in gastronomy and events and religious festivals. They are attributed healing and purifying properties. Before the wedding, they arrange this Haldi ceremony (Halad Chadavne). In this ceremony,the bride and groom are bathed with water and / or milk and turmeric, in order to purify and prepare to start a new chapter in their lives. Turmeric mixed with rosewater, sandalwood oil and other fragrances until a thick paste. Traditionally the bathroom is done separately in the house of the groom and bride respectively, and after that, the couple should not be seen until the wedding day. This ritual was also made as a beauty treatment for the bride before the wedding. The official application of henna is also done during a special ceremony called: Mehndi ceremony. Mehndi is the Hindi word for henna. Traditionally, henna designs are applied on the hands, arms and feet of the bride and it is one of the ornaments that brides should wear the wedding day. Generally, this ritual is organised by the family of the bride and is an intimate event where the bride, the women of her family and friends meet to apply henna. Experts in applying mehndi are responsible for designing the most beautiful and complex "tattoos" for this occasion. It is said that the more intense the colour of henna on the skin of the bride, groom want more. In addition, the expert applying mehndi put the initials of the groom hidden among the designs. This is one of the most celebrated traditions in Marathi marriage. Visit our Facebook page to check our discounts and offers.